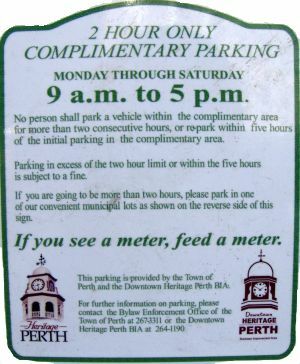 Only 2 hour FREE parking on the streets in downtown Perth (Parking enforcement on the streets is in effect from Monday to Saturday). 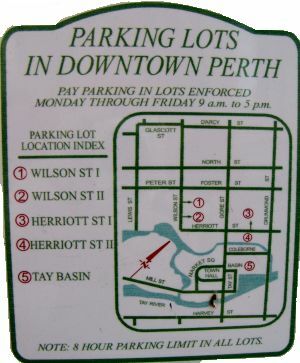 Parking lots are available for longer parking periods at a rate of $1.00 per hour (Parking lot enforcement is from Monday to Friday 9:00 a.m. to 5:00 p.m.). 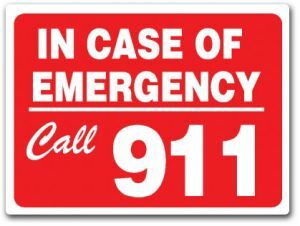 Look for these signs below. 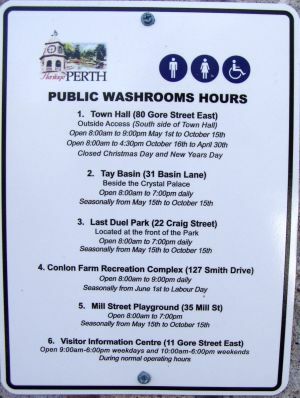 There is no overnight parking on any Town of Perth street from November 20th. 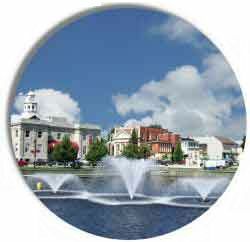 through to March 31st.